Zappos is a service company Rob talks about how Zappos is a service company at the core even though they sell apparel, shoes and handbags. For the CLT, each interaction with a customer is about creating a personal connection with the customer and not about a transaction. Rob shares a great story about how on his second day, he was assigned a desk and told to ‘just wow the customer’. 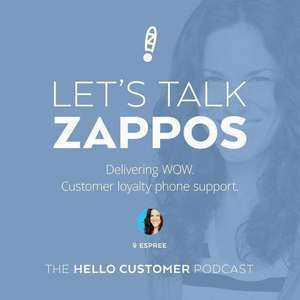 Zappos is primarily a service company dedicated to wowing the customer. The CLT aims to create a personal connection with customers. The ten core values of Zappos have greatly impacted their company culture and customer service. The CLT can stay on the call indefinitely. If an employee wants to do something for a customer because they believe it’s the right thing to do, they can do it. Zappos has an internal chat service for employees to ask each for help if they are stuck. 3 Actionable Points for anyone looking to start or improve a call center: write your core values; create a fun environment; and be thoughtful while hiring. Hire people that are going to be a good fit for your company and end up making a positive impact. While hiring, Zappos looks for good people who are positive, social, proactive, articulate and independent thinkers with a bias towards action.